Monsivais JJ, Seaber A., Urbaniak JR: Segmental Replantation of the Spleen with Microsurgical Restoration of Blood Flow; Proceedings of the International Microsurgical Society, 1985. Monsivais JJ, Seaber A., Urbaniak JR: Debridement and Replantation of the Spleen with Microsurgical Restoration of Blood Flow; Journal of Microsurgery, 6: pp 97 – 102, 1985. Monsivais JJ, Nitz PA, Scully TJ: The Scaphoid Non-union and Carpal Instability, Casual of Causal? : Proceedings, Journal of Hand Surgery (A), pp 423 – 424, May 1985. Cabellon S, Monsivais JJ, Gaines TG, Apgar RG, Cavanaugh DG: Brachial artery Mycotic Aneurysms: complication of Cardiac Catheterization; Journal of Military Medicine, pp 54 – 56; January 1986. Monsivais JJ, Nitz PA, Scully J: role of Carpal Instability in Scaphoid Non-union; Journal of Hand Surgery (B), pp 201 – 206; June 1986. Monsivais JJ: Upper Extremity Replantation following Trauma; the Medical Bulletin of the US ArmyMedical Dept., pp 7 – 9; January 1988. Monsivais JJ, Nitz PA, Scully TJ: The Scapular Flap in Lower Extremity Reconstruction; Journal of Military Medicine, pp 255 – 259; May 1987. Chow JA, Thames LH, Dovelle S, Monsivais JJ, Milnor WH, Jackson JP: A Combined Regimen of Controlled Motion Following Flexor Tendon Repair in "No Man's Land": A Multi-Center Study; The Third Congress of International Federation of Societies for Surgery of the Hand. Tokyo, Japan, November 1986. Snyder RJ, Monsivais JJ: Flexor Tendon Injuries in Zone I: Treatment with New Technical Modification and Results; Surgical Forum, American College of Surgeons, Volume XXXVIII, pp 546 – 552, 1987. Monsivais JJ, Dixon B, Scully T: Salmonella Osteomyelitis of the Hand; Clinical Orthopedics and Related Research, pp 231 – 234; January 1988. Lutz RA, Monsivais JJ: Pisotriquetral Arthrosis as a Cause of Rupture of the Profundus Tendon of the Little Finger; The Journal of Hand Surgery (British volume); pp 102 – 103; February 1988. Monsivais JJ, Nitz P, Scully T: The Role of Carpal Instability in Scaphoid Non-Union; Year Book of Hand Surgery, pp 177 – 178; 1988. Chow JA, Thomes LJ, Dovelle S, Monsivais JJ, Milnor WH, Jackson JP: Controlled Motion Rehabilitation after Tendon Repair and Grafting, A Multicenter Study; British Editorial Society of Bone and Joint Surgery, Volume 70-B, pp 591 – 595, August 1988. Monsivais JJ, Cook J, Scully TJ: The Multiple Facies of Capito-Lunate Instability; Orthopedics Transaction Journal. Spring 1988, Volume 12, #1, p 158. Monsivais JJ, Hyse LC: Vascular Graft Size Discrepancy; Orthopedic Transactions published by The Journal of Bone and Joint Surgery. Spring 1989; Volume 13, #1 p 162. Monsivais JJ: The Value of Single Stage Reconstruction; Orthopedic Transactions published by The Journal of Bone and Joint Surgery. Summer 1989; Volume 13, #2 p 222. Monsivais JJ, Scully S: Rotary Subluxation of the Scaphoid Resulting in Persistent Carpal Tunnel Syndrome; Journal of Hand Surgery. Volume 17A, #4 pp, 642 – 644. 1992. Monsivais JJ: Microvascular Grafts: The Effect of Diameter Discrepancy on Patency Rate; Microsurgery. Summer 1990; Volume 11, pp 285 – 287. Monsivais JJ, Keim JR, Monsivais DB: A Study of the Causes of Recurrent Carpal Tunnel Syndrome; Orthopedic Transactions published by The Journal of Bone and Joint Surgery. Summer 1991; Volume 15, #1, p 161. Monsivais JJ, Keim JR, Monsivais DB: A Study of the Causes of Recurrent Carpal Tunnel Syndrome; Orthopedic Transactions published by The Journal of Bone and Joint Surgery. Summer 1991; Volume 15, #2, p 325. Monsivais DB, Monsivais JJ: Office Based Research; Journal of the Southern Orthopedic association. July/August 1992; Volume 1 #4, pp 163 – 165. Monsivais JJ, Keim JR, Culbertson G: Free Vascularized Grafts vs Interfascicular Grafts for Nerve Repair; Orthopedic Transactions published by The Journal of Bone and Joint Surgery. Spring 1992; volume 16, #1, p 129. Monsivais JJ, Keim JR, Culbertson G: The Management of Radial Tunnel Syndrome with Radial Nerve Transposition; Orthopedic Transactions published by The Journal of Bone and Joint Surgery. Spring 1992; Volume 16, #1, p 131. Monsivais JJ, Cordtz PR., O'Hair KC, Moreno J: Vascularized and Nonvascularized Parathyroid Gland Transfer: A Comparative Study; Journal of Microsurgery. Fall 1992; Volume 13, pp 262 – 267. Monsivais JJ, Bucher P, Monsivais DB: Non-surgically Treated Carpal Tunnel Syndrome in the Manual Worker. Plastic Surgical Forum. September 1992, Volume XV, pp 268 – 270. Monsivais JJ: "Exercise: Watch yourself at work to avoid repetitive stress injuries" The El Paso Times newspaper article. December 1992. Monsivais JJ, Monsivais DB: "Nerve injuries don't mean permanent sensation loss". The El Paso Times newspaper article. January 18, 1993. Monsivais JJ, Espejo S: Influence of Rotation of The Pedicle on The Patency of Tissue Transfer; Journal of southern Orthopedic Association. 1 (6), pp 302 – 305, Nov/Dec 1992. Monsivais JJ, Monsivais DB: "Why do your wrists hurt? It could be simple – or not". The El Paso Times newspaper, p 5c. March 29, 1993. Monsivais JJ, Baker JD, Monsivais DB: the Association of Peripheral Nerve Compression and Reflex Sympathetic Dystrophy. The Journal of Hand Surgery (British and European Volume, 1993) 18B; pp 337 – 338. Monsivais JJ, Monsivais DB: "Pain can linger long after surgery for several reasons". The El Paso Times newspaper, p 5c. May 17, 1993. Monsivais DB, Monsivais JJ, Christensen M: "Using an Educational Model to Communicate Choices in Treatment for Patients with Cumulative Trauma Disorders" Journal of the American Association of Occupational Health Nurses; Volume 41 (12) December 1993, pp 587 – 591. Monsivais JJ, Monsivais DB: "Hand Surgery in Eastern Europe." The El Paso Physician magazine; February 1994, Volume 17, #2, pp 6 – 8. 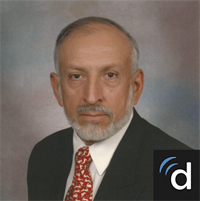 Monsivais JJ, Monsivais DB: "Professional Writing for The El Paso Physician." The El Paso Physician magazine; June 1994, Volume 17, #6, pp 6 – 7. Turkoff E Monsivais JJ, Bellolo H: "The Anatomy of the Vertebral Column of the Nubian Goat: A Peculiarity of the Arcus Vertebrae C5, C6, and C7 Forming Large SpatiaInterarcualia." The Canadian Journal of Veterinarian Research; 1994, Vol. 19B, #5, pp 547 – 549. Monsivais JJ, Narakas AO, Turkof E, Sun Y: "The Endoscopic Diagnosis and Possible Treatment of Nerve Root Avulsion in the Management of Brachial Plexus Injuries" The Journal of Hand Surgery (British and European volume, October 1994) Vol. 19B, #5, pp 547 – 549. Monsivais JJ, Boucher P, Monsivais DB: "Non-surgically Treated Carpal tunnel Syndrome in the Manual Worker." Journal of Plastic and Reconstructive Surgery. October 1994, pp 695 – 698. Turkof E, Monsivais JJ, Dechtyar I, Bellolo H, Millelsi H, Mayr N: Motor Evoked Potential as a Reliable Method to Verify the Conductivity of anterior spinal Roots in Brachial Plexus Surgery: An Experimental Study on Goats. Thieme Medical Publisher, Inc, May 1995. Monsivais JJ, Sun Y, Rajashekhar TP: "The Scalene Reflex" Relationship Between Increased Median or Ulnar Nerve Pressure and Scalene Muscle Activity. Journal of Reconstructive Microsurgery 11(4) July 1995, pp 271 – 275. Turkof E, Monsivais JJ, Dechtyar I, Bellolo H, Millelsi H, Mayr N: Motor Evoked Potential as a Reliable Method to Verify the Conductivity of Anterior Spinal roots in Brachial Plexus Surgery: An Experimental Study on Goats. Journal of Reconstructive Microsurgery. September 1995, pp 357 – 362. Monsivais JJ: Effective Management of Osteomyelitis after Grade III Open Fractures Journal of the Southern Orthopedic Association. Spring 1996, Volume 12, #4, November 1996. Monsivais JJ, Monsivais DB: Managing Chronic Neuropathic Pain with Implanted Anesthetic Reservoirs. The Painful Hand, Hand Clinics, Volume 12, #4, November 1996. Monsivais JJ, Monsivais DB: Botulinum toxin in Painful Syndromes. The Painful Hand, Hand Clinics, Volume 12, # 4, November 1996. Monsivais JJ, Sun Y: Tinel's Sign or Positive Percussion Test. Journal of The Southern Orthopedic Association. 1997. Monsivais JJ, Monsivais DB: Implanted Anesthetic Reservoirs in the Management of Neuropathic Pain Problems in the Lower Extremities. Foot and Ankle Clinic. September 1998, Volume 3. Monsivais JJ. Monsivais, DB: Abstract Detection of Symptom Magnification: Objective Documentation. Journal of the Southern Orthopedic Association (electronic journal) May, 2000. Monsivais, JJ: Physicians and their Families: An Underserved Community. El Paso Physician. Monsivais, J: Myofacial Disorders: An Expression of a Neuropathic Condition. International ProceedingsOf the 9th Congress of the International Federation of Societies for Surgery of the Hand. June, 2004. Monsivais JJ, & Robinson, K. (2008). Psychological profile and work status of a predominantly Hispanic worker's compensation population with chronic limb pain. HAND, 3:352-358. Robinson, K. & Monsivais, J. (2011). Acculturation, depression, and function in individuals seeking pain management in a predominantly Hispanic southwestern border community. Nursing Clinics 46(2), June 2011. Monsivais, J.J. & Monsivais, D. (2014) The Long- Term Safety and Efficacy of Intrathecal Therapy Using Sufentanil in Chronic Intractable Non-Malignant Pain. Korean Journal of Pain, 27(3), 297-300.